I sell a lot of Porcelier. The company produced incredible lighting fixtures made from porcelain and glass during the 1930s, 1940s, and early 1950s. 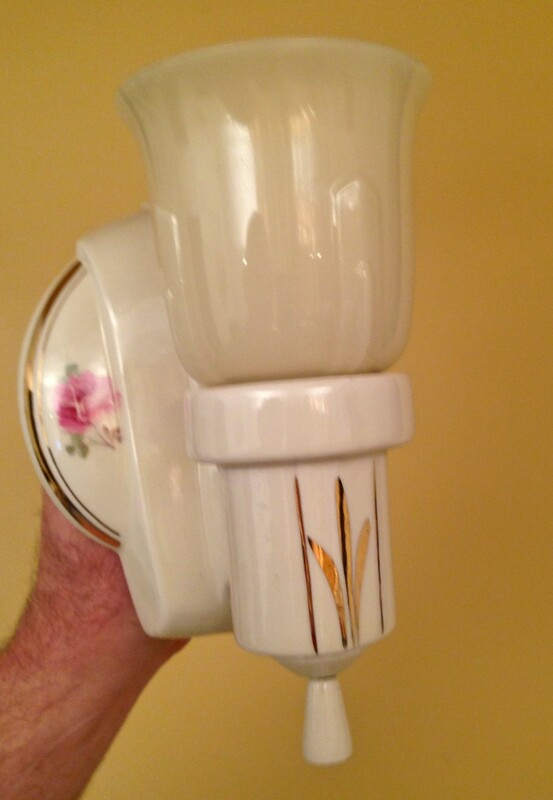 They also made housewares of porcelain, too. All cool stuff. Imagine, a porcelain toaster! 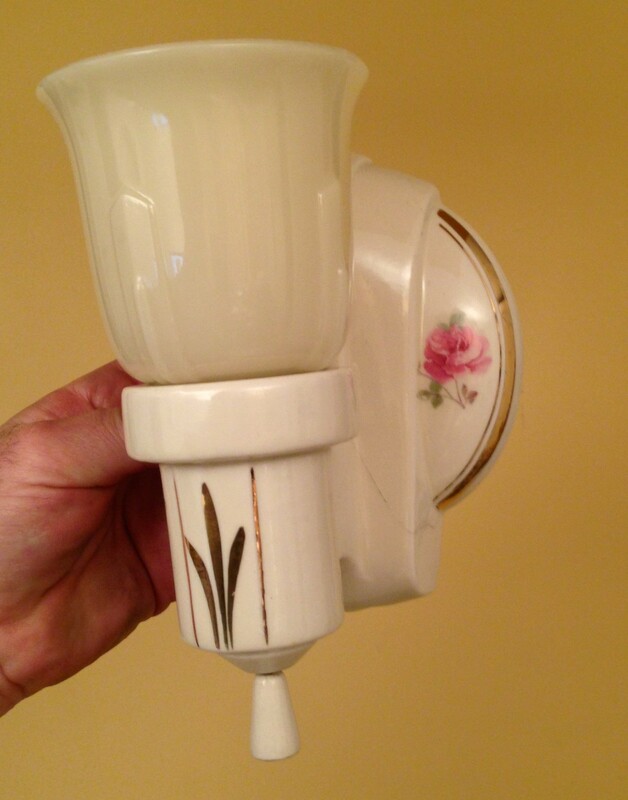 I just listed this rare pair of Porcelier bathroom sconces. I love the delicate roses and brilliant gold trim. Even the pull chain finial is porcelain!